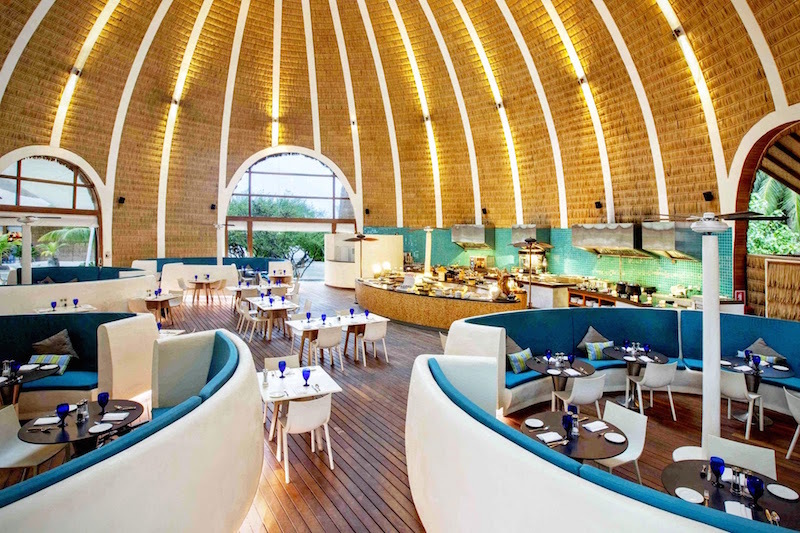 Holiday Inn Resort® Kandooma Maldives, has unveiled a spectacular interactive buffet restaurant experience with newly refurbished Kandooma Café on October 21, 2015. In an effort to create a unique dining experience to leisure guests who are mostly families, couples, and groups of friends, the restaurant has been designed to engage diners while delighting their sense of tastes. The café’s brand new contemporary interior has been accentuated by the outstanding ambient light and music installations and lowered post ceilings festooned by diminutive fans to provide guests comfort and convenience. 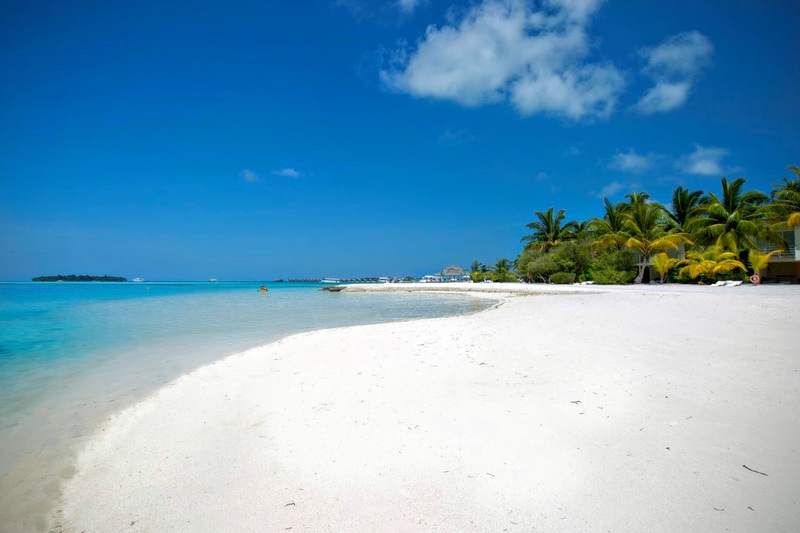 Big space of the floorings is made of grayish granite that adds a sophisticated look to the café while the use of white wash wood in select areas provides a bright resort feel. Kandooma Café features an expansive buffet display and presents the most diverse cuisines by showcasing seven distinct stations that will make the guest’s culinary journey dining experience totally complete. 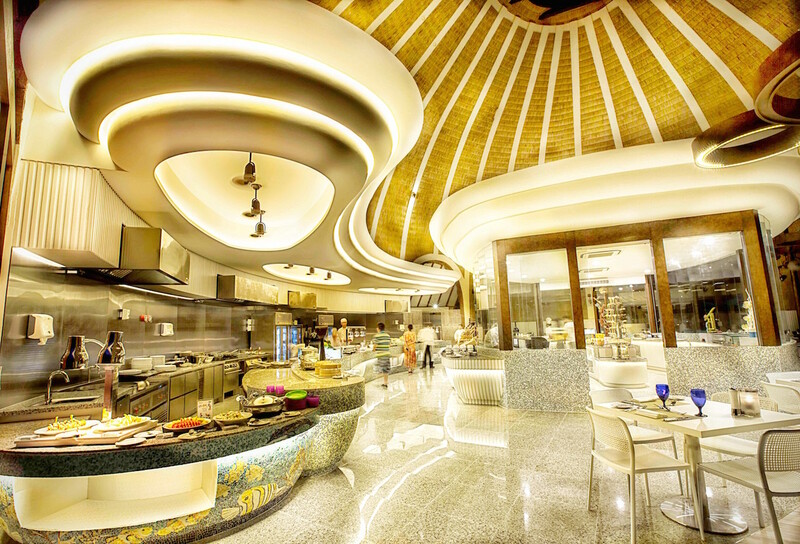 Flare station showcases unmatched live cooking performance from our award-winning chefs. An abode of spiced cuisines from Asian and Middle Eastern countries will make spicy food devotees crave for more, whilst continental gastronomies including vegetarian offerings feature both traditional and innovative dishes to satisfy the most discerning palates. Asian favorites and various stir-fried delicacies are ready to fulfill the biggest of appetites and those yearning for that perfect roast will be delighted by the carving place. Desserts are displayed in a climate controlled central showcase. Featuring a 5ft towering chocolate fountain and Teppanyaki ice cream station, enabling guests to flex their creativity in creating their very own sweet tooth fantasies. Kids will not be forgotten as they always have a space in Holiday Inn Resort® Kandooma Maldives with our specially designed kids buffet display, just for kids and our “Kids Stay and Eat Free” menu program. October saw the launch of the new Kid’s Menu. The unbelievably awesome “Kids Menu” lets the young ones choose either a Tasty Bite (burgers, soups, pizzas, etc.) or Go Local dish (sweet corn soup, tuna noodle patties, vegetarian congee, etc.) and select from the dessert and drink choices for their free set meal. The main meals provide a balance of vegetables, meat, wholegrain foods, fruits, and dairy. The menu has also been designed to reflect the colors and flavors that kids enjoy eating. Kandooma Café can accommodate 260 persons and is open daily for breakfast to dinner from 6:30 am until 10:00 pm.